One of my guilty pleasures is to eat Milo powder, and yes, I know that’s pretty weird. I’m sure most of you enjoy Milo in a beverage form though. Cheese Banjir in Kuala Lumpur, Malaysia has taken this up a notch, by adding a whole new range of Milo covered dishes to their menu. 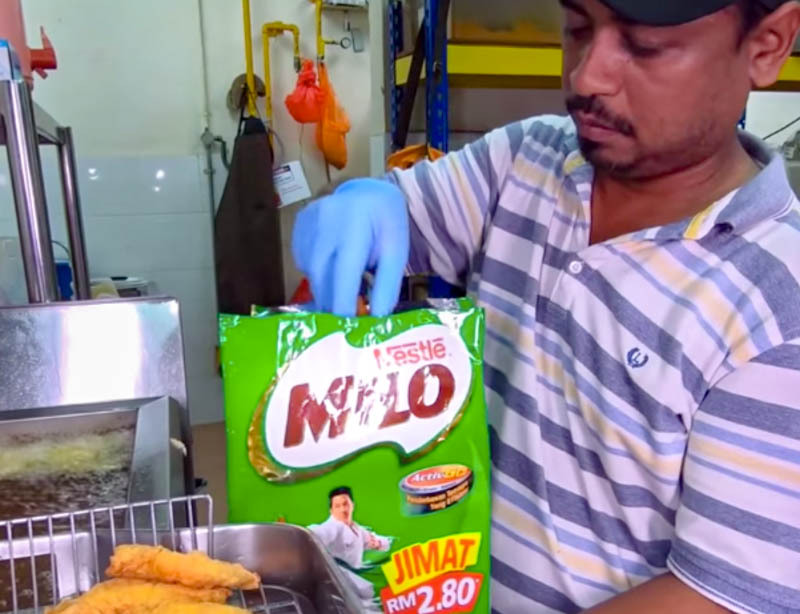 This adventurous stall is now serving up an all-new Milo Coated Chicken Chop. You might find the stall name familiar, as they have previously created a Cheese Milo Durian Kaw (RM20) earlier in the year. The Cheese Milo Durian Kaw is a traditional glass of Milo, but topped with a piece of durian. Now, Cheese Banjir is even incorporating Milo powder into their main dishes! One of their most popular Milo dishes is the Chicken Chop Milo Earthquake (Ayamilo) (RM27). A large chicken fillet is coated with their spicy homemade batter and flour, then deep fried until golden brown. Once the meat is cooled, they immerse it into a bag of Milo powder, shaking the chicken to cover it with a blanket of powder. This is then paired with a side of sambal belacan and thickened Milo sauce. As much as I enjoy Milo, I would have to draw the line at coating chicken chop with Milo powder. The thought of sweet malty Milo powder with the savoury spicy batter really doesn’t appeal to me. 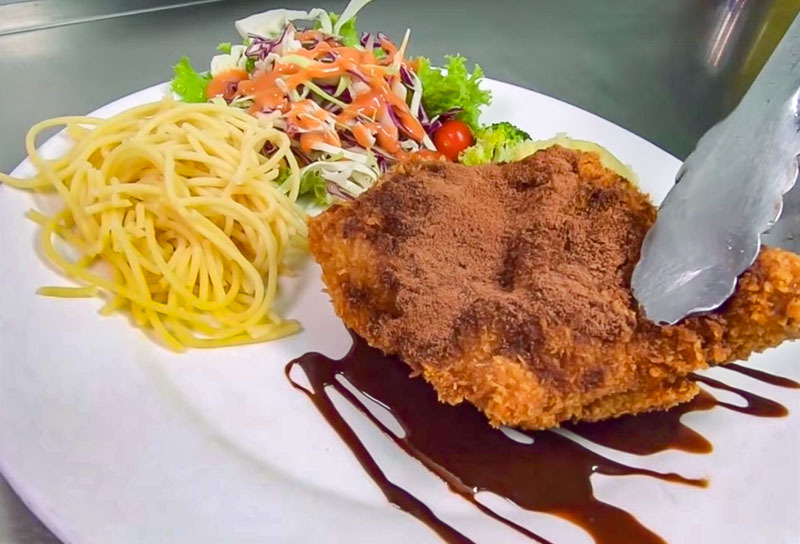 However, daredevils out there might want to give this Milo chicken chop a try!